What's the definition of a successful accountant? Someone who has a tax loophole named after them, goes the old joke. These days, the professionals who help corporations and wealthy individuals benefit from gaps in the tax laws or set up shell companies or offshore havens to minimize their taxes are not exactly clamouring for attention or accolades. The recent bombshell revelations in the Panama Papers, following last year's Luxembourg Leaks, have shone a broad, bright light on the seemingly widespread use of tax avoidance – mostly perfectly legal – and evasion. Brigitte Alepin, the Quebec-based accountant and tax policy adviser at the forefront of a group working to reform global tax regimes, wants it known at the outset of our lunch that she is not out to condemn, punish or vilify the notorious 1 per cent or multinationals for taking advantage of existing tax regimes. "I'm not a leftist," she insists, although she admits "I find it extremely difficult to remain neutral," as we settle in for a traditional Italian meal at one of her favourite spots, Il Cortile, on a tony stretch of Sherbrooke Street near the Montreal Museum of Fine Arts. Ms. Alepin's neutrality in what is an emotional, politically charged debate may be viewed skeptically by some critics. But she says she's motivated by a desire to bring a sense of fairness to what she believes is an out-of-control system in which countries try to outdo one another in a "race to the bottom" as companies facing fierce competition seek out the lowest tax rates possible. Her strategy is to eschew confrontation and polemics. Instead, she carefully cultivates an influential network of decision makers in key positions in government and at global institutions. 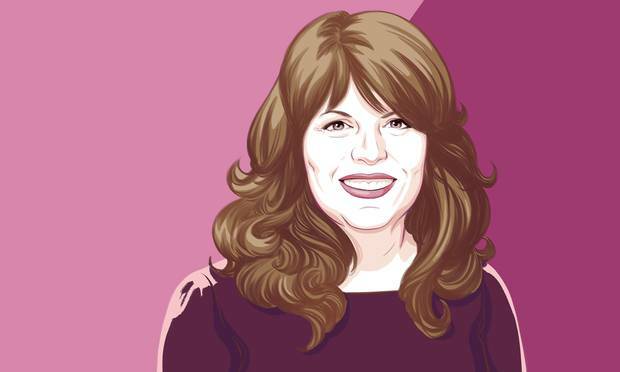 Her career path has taken her from a modest start as a tax specialist in a small firm in the Laurentians north of Montreal to the rarefied, clubby circle of global finance and economics. Besides her role as a tax policy expert, she is also one of four organizers of TaxCOOP, an international conference on tax equity that gathers together finance ministers, entrepreneurs, members of government, and non-governmental organizations and academics. Later this month, TaxCOOP will welcome delegates from around the world at a meeting in Washington, D.C., that includes the participation of the World Bank, the International Monetary Fund, the Organization for Economic Co-operation and Development, and the United Nations. Ms. Alepin, 49, and one of three siblings, always had a head for figures but accounting was furthest from her mind when growing up. Her Syrian-born father was a salesman; her mother – a native of Quebec – was a stay-at-home mom who later became a partner in her husband's carpet business. Becoming a professional singer was her dream as she closely followed the rise to fame of homegrown superstar Céline Dion. "I had the profile of the pesky little girl who wants to be a singer," she says. A more practical outlook eventually took hold. She graduated with honours in accounting from the Université du Québec à Montréal, got a masters in taxation from the Université de Sherbrooke and a masters in public administration from Harvard University. "You'll be the Céline Dion of taxation," she recalls her dad telling her. Then tragedy struck. At the age of 26, she was diagnosed with cancer and told she had a 30-per-cent chance of survival. Part of her colon and an ovary were removed and she underwent eight months of chemotherapy. Somehow, coming out on top of those odds made her an even more passionate lover of life, she says. "[News of the cancer] was like an electroshock making me appreciate the things that really matter and I have always considered myself privileged to have lived this ordeal at that age," she says. "I think I was able to overcome it because deep down inside me I never believed it would kill me." Not long after the struggle of her young life, Ms. Alepin welcomed a "great gift": the birth of a son. But she was not exactly charmed by the idea of being a single mother – after an amicable separation – raising Sam in a 9th floor condo in the city. So she moved to the Laurentian town of Ste-Adèle, got her start as a writer penning a tax advice column for the local newspaper and was soon recruited by an accounting firm in the area. She subsequently met her current husband – an Air Transat pilot – and they set up in a lakeside house with a blended family. She researched and wrote her first book, Ces riches qui ne paient pas d'impôts (2004) (The Wealthy Who Pay No Taxes) during the evenings and on weekends. But the early days of her career as a tax reform crusader involved a certain degree of sacrifice, Ms. Alepin confesses. To save on hotels on overnight trips, she would sleep in her car and, on trips overseas, bunk down at the airport. Her airfare was virtually nil thanks to her pilot husband's perk of free standby travel for family members. "Air Transat subsidized my career," she laughs. "I couldn't ask my family to pay for those trips," the frugal tax specialist, dressed today in a Zara blouse and skirt, no watch, says. Between bites of veal scaloppine, Ms. Alepin defines her role as a mobilizer of people from all sides of the political spectrum on the tax reform issue, not only among the Group of 20 large economies and the OECD but among the world's developing nations as well. OECD tax chief Pascal Saint-Amans has praised her skill in getting key players to sit down, talk and try to work out agreements. "Patience, perseverance, take the time for one-on-one meetings to talk frankly, be strategic but honest and command respect, avoid going to extremes and be sure people are comfortable with your approach," is how she describes her modus operandi. Earlier this year, respected online journal International Tax Review put her on its Global Tax 50 list of influential people. She co-authored The Price We Pay, a 2014 feature documentary by Harold Crooks that takes a critical look at the shifting of billions of dollars in profits to low- or no-tax jurisdictions by corporate giants including Starbucks and Apple. The film – which made its debut at the Toronto International Film Festival – is based on Ms. Alepin's 2010 book La crise fiscal qui s'en vient (The Coming Fiscal Crisis). Making the switch from print to film was not easy but turned out to be an enriching experience, she says. "It was challenging because the film was based on my book and I had to trust a team of people I didn't know very well and who had no fiscal expertise. It was demanding because I had to contribute to the making of the documentary and had to learn everything on the fly." The discovery of a new medium with which to reach a wide audience and get her message across was an added plus, she says. Over a four-year time span, she testified as an expert witness 10 times before the standing committee on finance in Ottawa and in 2014 was invited by the chair of Britain's public account committee of the House of Commons, Margaret Hodge, to speak at London's historical Guildhall. Lately, Ms. Alepin has focused her attention on the social and tax-avoidance issues raised by the growing use of charitable foundations by the super-rich, such as Facebook's Mark Zuckerberg and Bill Gates. Is the rise of such powerful private foundations eroding government influence in the public sphere, she asks? And to what extent is the ordinary taxpayer indirectly subsidizing the generous tax writeoffs the billionaire benefactors get? "It breaks my heart to see the way we idolize private foundations that are supposedly philanthropic when in fact we are dealing with an infringement of public finances and a threat to democracy," she says. Retired justice of the Quebec Court of Appeal and McGill University adjunct professor of law Louise Otis, an international mediator, says Ms. Alepin could have had a lucrative career as a tax specialist in a prestigious accounting firm but chose instead to commit a big part of her life – she also provides tax counselling to mostly small and medium-sized enterprises – to tax policy reform. "She wants to change [things] from the inside, use mediation and negotiation to move towards multinational agreements," Ms. Otis says. "She loves negotiation and she's skilled enough to be able to do that. She's very strong. She's very convincing. She does it all with a smile." Ms. Alepin has no qualms in trying to win over some leading lights, Ms. Otis says. But she's not in it for her own personal glory, she adds. She's a team player par excellence and has gathered "an impressive team around her." Her passion for tax reform has no single source or trigger incident. "At a certain point, you just go into something you consider important," she replies when asked what her motivation was. "From the start it was wanting to see fiscal justice." The Panama Papers leaks are a step in the right direction, a possible "agent for change," she believes. She's confident the tax regimes of the world will eventually fall into step with the enormous changes wrought by globalization and that she has achieved something by helping contribute to a better understanding of the tactics and techniques available to corporations and high-net-worth individuals. But she says she isn't done yet. "I can't conceive of stopping. I'm like a singer who can't stop singing."